Mom guilt is a real thing. I have had more than my fair share of it. But I’m here to tell you there comes a point when you realize you have a good dose of mom confidence in you. What is mom confidence? It’s the feeling that you’re doing a few things right. Maybe your kids tidied up without too much prompting. Maybe you noticed that they kissed great-grandma without being asked. Or just maybe they ate vegetables without making the “eww! !” face. Whatever it was, it gave you the feeling that maybe your kids are going to turn out alright after all. 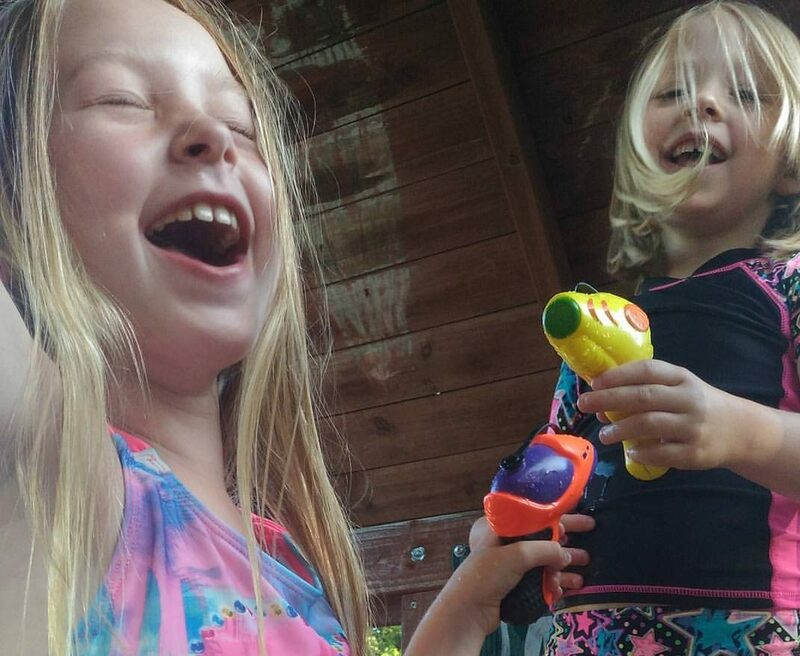 Here are a few tell-tale signs you’ve got some mom confidence. You no longer feel guilty going to work and leaving the kids at daycare or in afterschool programs. It may be a feeling in your heart, or maybe yours actually tell you – they are having a great time with their friends and caregivers! Sometimes my kids “cry” (you know, no tears just generally annoying whining and noisemaking) when I pick them up from afterschool care. Doesn’t make me feel great that they’d rather be there than with me, but it does mean they’re having tons of fun and they don’t miss me like I imagine they should. While wandering through your untidy, well lived in house you think back on the fun times and memories being made. This happens to me when I’m home alone folding and putting away laundry. A clothing article will bring back a memory and I’ll realize my kids are growing up really fast. They are independent little people now, and that’s amazing. And despite all my guilt and uncertainty they are turning out to be great people. I cherish every piece of time I can get with them, but I also know they learn so much when we’re apart. Bedtimes and bathtimes are no longer a battle – even if you’re single parenting for the night. My husband has been working a lot lately. There was a time this would cause me some anxiety because I couldn’t stand doing the never-ending bedtimes by myself. Now my girls are older, bedtimes are much less stressful, and I’m confident I can manage them on my own – even for a few nights in a row! This is a sure sign I’ve gained mom confidence. You stop worrying about getting all four food groups into every meal. Once your kids get to the adamant refusal stage of life (I think my kids were both born in that stage and haven’t left it behind yet…) you truly have to pick your battles. I’ve given up forcing a lot of fruit and vegetables on my kids at each meal. We send some of a lot of stuff to school in lunches and often it all gets eaten, but at home it’s a different story. Breakfast seems to be a carbs and milk products meal, and that’s fine with me. I eat my fruit at breakfast time so at least I’m leading by example. At dinner some vegetables are required, but again I don’t fight about this much anymore. And since I’ve stopped being so forceful they seem to eat better. I hope this isn’t a fad, but a trend they will continue with into adulthood! Going outside no longer requires you to go with them. There truly is no better feeling that knowing you’re doing a good job raising your family. Once you get past all the uncertainty of the baby years, and the super-tough toddler times it does get easier. At least it did for me. There are many other ways to feel mom confidence. This is just a short list of the things I’m feeling more often now. Care to add some other suggestions? I love to read your comments! Confidence can be tricky to find, but it’s often there in everyday things you do. Thanks for the kind words! There is no perfect way to be a mom or anything else for that matter. I love the way you have pointed out that we all just do what we do and that is a good thing! Thank you! I’m trying hard not to dwell on things I’m not so great at, and instead think back on things we have done right. It’s easy to get weighed down by “mom guilt”, so it’s time to let that go! I guess I can tell that I have gained a little bit of confidence from parenting 2 children.At times,I get nervous and panic too,which I feel is quite natural.Anyways,it was a great post! There will always be the negative feelings – panic and nervousness – in our lives. But let’s try to focus on some good things to help us through those rough patches. Thanks for the comment! Thanks Antionette! I wish your son all the best at university! Hi jess, it is so refreshing to focus on the positive feelings of parenthood. There does come that time when we get that inkling that we are doing something right. Thank you for linking u with the #MMBC. That was my hope – to put some focus on the positive stuff! I’m feeling it a bit these days so I thought I’d share! Thanks for the comment. Thanks Lisa! I’m trying harder to focus on the positives. I have enough mom guilt to last me a few lifetimes, so I like thinking about the things I’m doing right! We are slowing gaining ground on vegetables, and dinner in general. I never imagined my children would be so picky! But life goes on and I’m trying to focus on the positives now. Thanks for your comment Helena. I’m glad you enjoyed my post. Thanks for the comment. Glad to hear your confidence is increasing! If your path goes similarly to mine, you’ll feel better about your mom life as the years go by. Thanks for the comment! I can’t wait until the last one, when he goes outside and I feel confident he will be okay. I think I am still working on the first one as well, I’m still fairly new mum so I hope it will come with time : ). Thanks for sharing with #StayClassyMama! Life is always a work in progress, isn’t it? I hope you get to those stages and feel the confidence of knowing you’ve prepared your children for their independent lives the best you could. I wish you luck and love with your family! Popping back in! Always happy to read your words! Great way to put things into perspective! Thanks! I get tired sometimes of only reading the (humorous) negative things about how we’re all “bad moms” and stuff about mom guilt and all that. Not to say I don’t fall into all those categories as well, it’s just nice to be positive too! I tried hard to come up with a positive spin on mom life – it’s important to know we are all doing the best we can, and we need to celebrate that! Thanks for visiting Jade! Hey Su! That “The Baby Years” is also a link to another post because I also think those years are SO LONG! Good job with Ethan and the veggies (sometimes that happens here too and I wish I knew how to make it happen more often!!) Happy to link up! There is definitely a lot of self-imposed pressure. That’s why I think it’s important to step back and see all the thing you’re doing right! Thanks for visiting! That’s how I feel as well Karen. Though I can still be pretty shy by times! I am not yet at an age for most of the above as my baby is only 4 months but I look forward to it! You’ll get there Erin! The baby months are by far the toughest (or they were for me!) 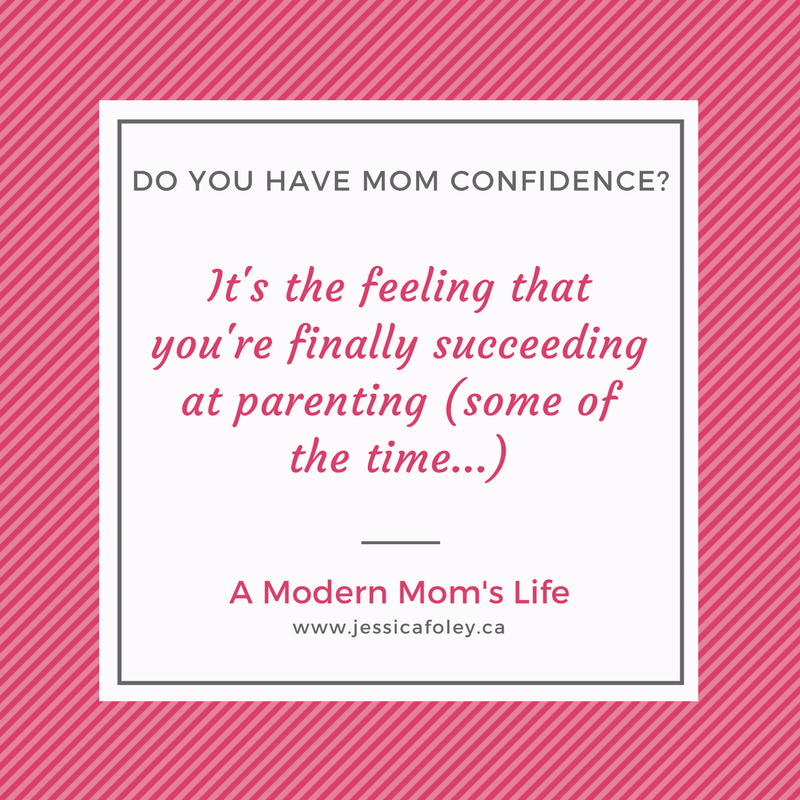 so that mom confidence will blossom as your kiddo gets older! Every time I witness my kids being kind, polite and well mannered I know I must be doing something right. Every time I hear them laugh I know they are happy and every time they come for a hug I know I bring them comfort and support. I need to focus on those moments more often to banish that awful mum guilt whenever I start questioning myself. Great post. Thanks Alana. It’s hard to turn off the negative thoughts and feelings, isn’t it? I’m so glad reading this post is helping people reflect on the great things going on in their lives, and that of their children. Thanks for sharing your thoughts!